With the open beta of Final Fantasy XIV: A Realm Reborn drawing near Square Enix released a large batch of new information on what’s to come. Everyone else will have to wait for August the 17th at the same hour at 2 AM PDT/9 AM GMT. The open beta will end on August the 19th at the same hour. 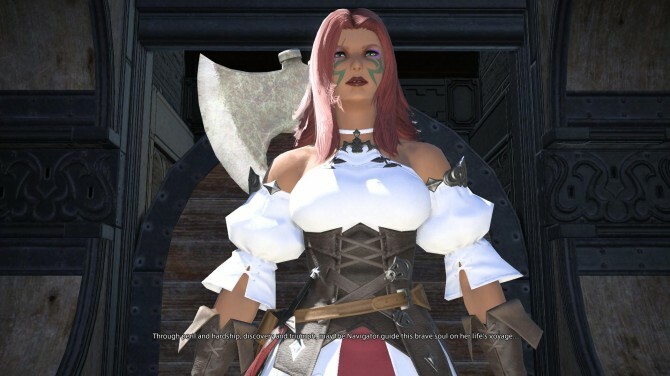 We finally learn that everyone that will be using old characters from the original Final Fantasy XIV will be able to change their race, appearance, nameday, guardian and name from the beginning of the open beta (and not from launch as it was previously believed). It’s important to mention that the change will be available only once. In addition to that, and this is a favorite of mine, players will finally be able to fully customize the appearance of their retainers like they were player characters, and veteran players from the original Final Fantasy XIV will be able to re-customize the appearance of theirs. The Limsa Lominsa housing zone “Mist” and the PvP arena “The Wolves’ Den” will be available for stress testing. Killing Ifrit during the main storyline will be necessary in order to access the PvP arena. Fisher and Arcanist will be available as playable classes, while they were locked in the previous phases of testing. For the duration of the open beta players won’t be able to progress past level 20, but their progression will be retained in early access and then launch, unless a critical bug forces Square Enix to reset it. Players that already have old characters past level 20 will retain their levels, but won’t be able to progress. Starting with the open beta full customer support, including in-game GM support, will be available. Finally, the client used for the open beta is the same that will be used for the release of the game, so no further download will be necessary besides updating this one. That’s pretty much it. Is your body ready?